After roasting in the California heat (and what was that strange bright object in the sky, anyway? ), truer words were never spoken. We love our gray, wet and cool corner of the country. Having said that, our road trip was a blast. We had a great time! Part of me will always be drawn to the allure of the open road. Do you suppose it’s possible to be thankful you’re home while simultaneously miss the adventure of traveling away from home? Or am I just a conundrum? The fun began Thursday afternoon, which already feels like a lifetime ago. That’s another thing about traveling: your sense of time becomes skewed. You lose track of days, and when 500 miles can separate you from where you were 24 hours before, you tend to develop nostalgia quickly. We hit the road about 1:00 PM, and journeyed south to Klamath Falls. The first leg of our trip was uneventful right up until the moment I killed a duck. And I’m not even a hunter! Actually, what killed the duck was a 2000 lb. white Toyota Camry. I just happened to be behind the wheel. Who told that flock of ducks to cross the road right in front of oncoming traffic, anyway? I felt bad, I truly did. But there was nothing I could do about it. Truth is, I’m kinda bummed we didn’t end up with a nice duck a l’orange for dinner. We settled instead for Elmer’s, a local Denny’s-like chain but a little bit more upscale, with a focus on locally sourced Northwest cuisine. 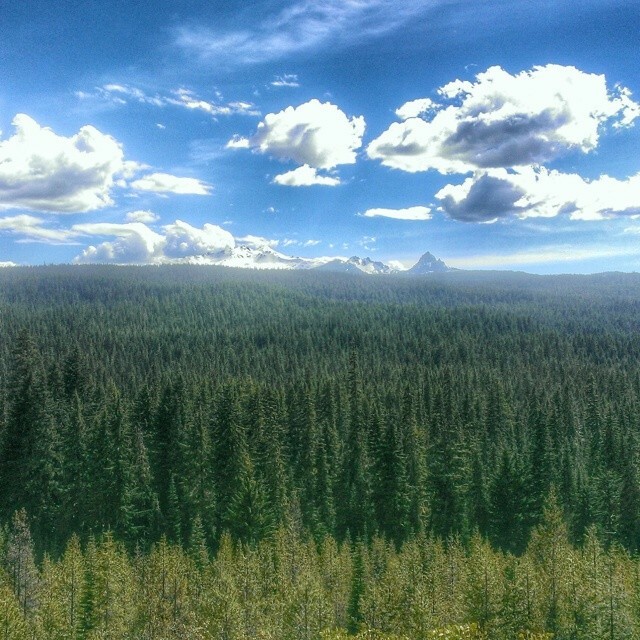 As for Klamath Falls, let’s just say it does not live up to its name. You picture a beautiful, pristine, inviting place, right? At least we did. Instead, it’s kind of brown and has a bunch of strip malls. And nary a waterfall to be found, I might add. So much for truth in advertising. But the bed was soft and the shower invigorating. Plus, it knocked five hours off the start of our journey. Friday morning, we crossed the California border bright and early. I hadn’t been to the Golden State in nearly five years. Ironically, the last time I was there was also for a wedding. I guess that’s about the only motivator that will get me to venture south. Do you hear that, Scott and Esther? At least this time we ventured down U.S. 97 instead of I-5. This was a part of California I had never seen. We spent a good chunk of time driving through the Modoc National Forest, and while it may have paled compared to the forests back home, at least it was a different kind of California scenery than I’m used to. At one point Tara, feeling adventurous, turned off the highway and we meandered several miles down a scenic dirt road, enjoying scattered wildflowers and the scent of pine trees. Until an ear-splitting alarm started going off. Where it was coming from, we had no idea, but we sensed it was warning somebody of our presence. I had visions of stumbling across a hidden marijuana plantation and being ambushed by gun-toting guards hired by drug cartels. This really does happen in northern California, so the fear was not irrational. We high-tailed it out of there. Our stay in California only lasted a few hours; before long we were in Nevada. We drove through Reno, the Biggest Little City in the World, stopping for lunch at Raising Cane’s. I used to visit Reno frequently when I lived in the Bay Area, but it had been nearly twenty years since my last trip there. It looked mostly the same; the Vegas glitz still hasn’t spread that far north, apparently. We continued on to Carson City, where we were staying for the night. I had never been to Nevada’s state capital before, and was very impressed. It’s a decent-sized town of 55,000 with great scenery, clean air, and plenty of amenities. After checking into our motel, we wandered around downtown, ducking into a sushi joint for a few oysters on the half shell (surprisingly delicious considering our distance from the nearest ocean) before strolling through the capitol grounds. We then settled into an Irish pub for drinks before making our way to dinner. We stumbled upon a drum circle full of old hippies and wannabes, and watched them play for awhile. Talk about a surreal Portland moment. Then it was on to Red’s Old 395 Grill for some excellent barbecue. Tara had been there before and recommended it highly. It lived up to the hype. We walked back to our room in the dark, well past 10 PM, but the streets were safe. I really liked Carson. Sierra Nevada from Carson City. It wouldn’t be Nevada without neon! Government building in Nevada’s capital. Saturday morning we grabbed breakfast at a casino, and were thrilled to find $2 Bloody Marys. We had a couple before bidding farewell to Carson City. Our next stop was Virginia City, an old mining town where Samuel Clemens once worked (and where he first used his pen name, Mark Twain) and also the setting for Bonanza. Tara had been wanting to take me here for years, and I thoroughly enjoyed it. The town sort of reminds me of Deadwood, but with fewer bikers. We ducked into the Bucket of Blood Saloon to slake our thirst, browsed through a few stores, visited the pioneer cemetery, and took an underground mine tour. We left just as the local Memorial Day parade was beginning, but we still had a lot of traveling ahead of us that day so we couldn’t stay. Soon we were crossing the Sierra Nevada Mountains back into California, but took a detour to visit both Donner Summit (unintentional) and the Donner Memorial (our true destination), where we paid respect to the ill-fated Donner party. We arrived in Sacramento shortly after 5 PM, and man, was it hot. I am not crazy about the California capital. Then again, I’m not crazy about California in general (no offense to all my friends and family who live there, of course. I like you all just fine). It’s too brown, too hot, and the drivers are WAY too aggressive. To the point where even Tara was intimidated. But we can’t help that Heidi and Ross, the bride and groom, live there. We drove to their house to visit for a few hours before returning to the hotel. It was actually the first time Tara had met Heidi in person, and I think it’s safe to say they clicked. Heidi’s daughter pointed out their resemblance to one another, saying at one point, “You are my mom’s doppelgänger.” It’s true. They could practically be twins. Hot. Really, really hot. It was 102 when we arrived at the wedding venue. Which, by the way, was held outdoors. And we had no sunscreen. What can I say? We’re northwesterners. In spite of the heat, the wedding was a lot of fun. 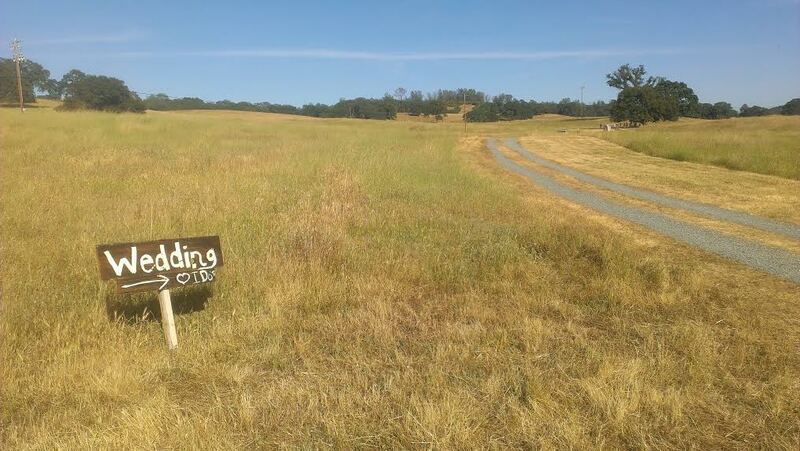 It was held at a barn in El Dorado Hills, a 30-minute drive east of Sacramento. After a lazy morning in which we had breakfast at Black Bear Diner and then lounged around the room, we left for the wedding at 3 PM. Heidi had mentioned the night before that barn weddings are all the rage in California. We’d never heard of such a thing, but it was definitely a unique setting. Typical California countryside: golden rolling hills, oak trees, nothing but sunshine. The ceremony was held beneath a sprawling live oak, so at least there was some shade. The bride, I should point out, was quite lovely. Tara had warned me she tends to cry at weddings, and oh boy, did she. Afterwards we adjourned to the barn for the dinner reception, and if I thought it was hot outside, that was nothin’. Thankfully, Heidi had made hand fans for the guests, and they did help. As did a pitcher full of ice cold strawberry lemonade. I’m pretty sure I drank several gallons of the stuff. 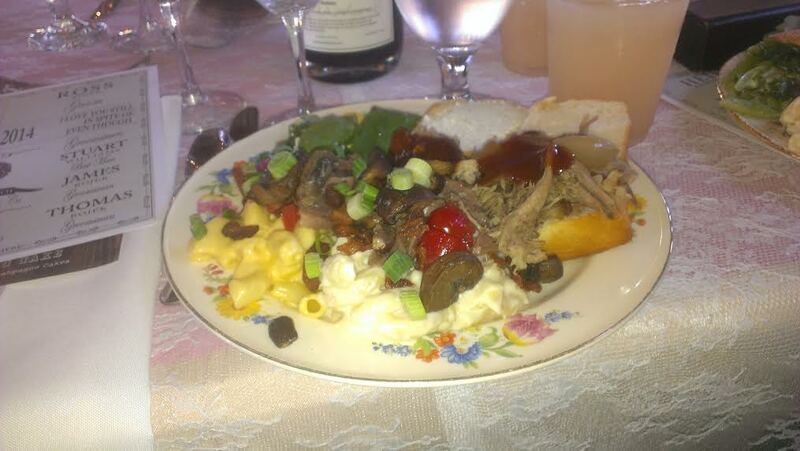 Dinner was a buffet that included salad, crostini, a mac ‘n cheese bar with two different types of pasta (cheddar and white gouda) and fixins (duck confit, bacon, ham, glazed mushrooms, scallions, cherry tomatoes, cauliflower), and pulled pork sliders with bbq sauce and coleslaw. The food was excellent! After the cutting of the cake, it was time for us to head back to our air-conditioned room (and the hotel swimming pool), so we congratulated the bride and groom and bid them adieu. I’m glad we were there for their big day. We were on the road by 5:45 AM Monday morning, and made it home around 3:30. It was 72 degrees with a gentle breeze and a lovely blue sky dotted with puffy white clouds. The knot was tied to the right, under that oak tree. WOW Mark, I am so surprised to hear that CA gets THAT hot?!? I’ve only been to LA (during the summer months) and it didn’t seem to have as much humidity as we do, here in the northeast. One of the things I really like about Lake Tahoe, Nevada, was that even in the summer (which is when I stayed there) no matter how warm it got during the day, the temp. dropped down into the 50’s at night – faaaaabulous! I’m like you, I would much rather be cold than hot. Sounds like you had a super time on your trip (excluding the heat). Love the photographs! Sacramento is inland, and hotter than LA and the Bay Area. At least down there, they have moderating ocean breezes. But even in Sac. the temp drops down to the 50s at night. That’s pretty much the case for the entire West Coast. Even on our hottest days here, it’s usually nice and cool in the morning. I also found out that barn weddings are very popular now. People like that whole rustic daisies in a Mason jar look. Thanks for posting all the photos. The soup of the day is a hoot! We wondered if they’re especially popular in California because barns are more of a novelty there. Up here, they’re more common, what with the whole farm-to-table movement. 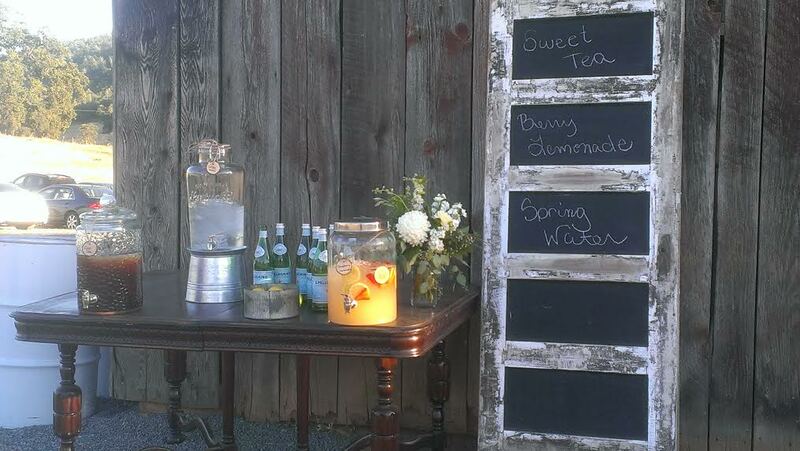 (Come to think of it, there were a few mason jars there)! I don’t believe you have gotten married yet, Jess. There’s still time! Fun road trip! I love Virginia City, have taken a few road trips up there and think it is a very cool little town. The old cemetery is quite interesting to wander through. I know a bit morbid but I have always been fascinated by them. Morbid? Nah…we spent a good 45 minutes wandering through there! I’ve always been drawn to cemeteries. They scared the crap out of my ex-wife. 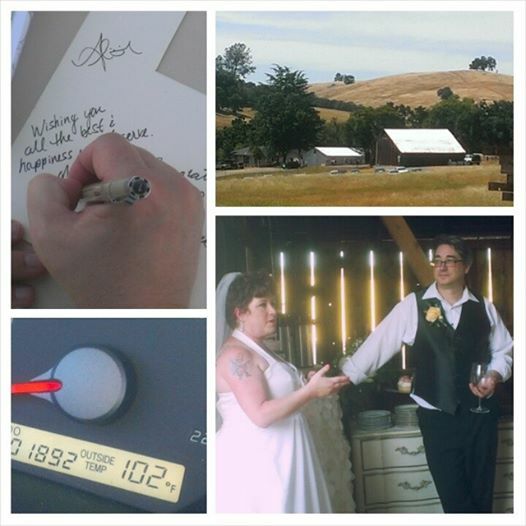 So nonchalant – we drove to California to attend a wedding! Sounds like a good time was had by all! I once drove 60 miles for a bagel, and Tara drove 76 for a corn dog. California’s nothin’! When I lived in Wpg. I once flew to Edmonton for the weekend – just because my aunt & uncle were having a party for the 25th Anniversary! While there I met a very distant cousin (many times removed) who lived in Calgary. We hit it off great, so when he suggested he come to Wpg. for a visit, I hopped on a plane to Regina so he would have company for the last 10 hours of driving! Now I hate to fly so I wouldn’t do anything like this – but I used to be very spontaneous!